Arman Taghizadeh, M.D.Dr. Taghizadeh, also known as “Dr. T”, is a Johns Hopkins trained psychiatrist who is Board Certified in both General Adult Psychiatry and Child and Adolescent Psychiatry. He also specializes in Sports Psychiatry. wrestling team. In his senior year, he was JMU’s sole nominee for the prestigious NCAA Walter Byers Postgraduate scholarship, which is considered to be the NCAA’s highest academic award. He subsequently served as the official ambassador of the Iranian Olympic Wrestling team for the World Cup in 1999 and 2000. He received his M.D. from the University of Maryland School of Medicine and was selected to be in the Combined Accelerated Program in Psychiatry (CAPP). He completed his General Adult Psychiatry Residency and his Child and Adolescent Psychiatry fellowship. He was awarded the honor and served as Chief Resident from 2009-2009. Dr. T is currently a faculty instructor at Johns Hopkins Hospital in the Division of Child and Adolescent psychiatry where he teaches seminars and supervises residents. He is a member of the Health Committee at Gilman School where he works with administrators and other physicians to optimize the physical and mental health of students. 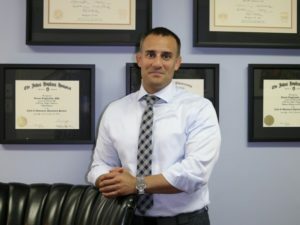 Dr. T also serves as Medical Director of the “Catch a Lift” Fund, a Non Profit organization aimed to serve wounded military veterans through physical fitness and mental wellness. He is an active member of both the American Psychiatric Association and the American Academy of Child and Adolescent Psychiatry. He has served on several professional committees including Council of the Maryland Psychiatric Society from 2010-2015, Chairman of the Resident and Fellows Committee of the Maryland Psychiatric Society, and the Resident Representative of the American Academy of Child Psychiatry. He has also been asked to give numerous lectures to both professional groups for continuing education, high school groups and athletic teams on various topics of interest.